A) Judging by the resistance to change displayed by some on this forum, some of whom I assume must be photography pros, there will be some people who will remain skeptical of smaller, lighter, newer gear. In other words, change is hard and a lot of people are fearful of it. Resistance to change should not be confused with preference, or not drinking the Kool Aid. I don't think anyone is fearful. The "change" you talk about is not a big change at all. Mirrorless has been around for a long, long time. I doubt anyone is fearful. Smaller, lighter gear? You are referring to the camera bodies, obviously. Even then, you are not referring to a Canon high end MILC body. None have yet hit the market. Lens wise, smaller and lighter is not currently the case by any stretch of the imagination. B) DSLRs just feel like more solid gear, even though this is actually not the case (more moving parts, etc.). But they are generally rugged and heavy and do have a reassuring feel for those that use them. Better ergonomics for those with large hands, etc. (no Trump jokes, please). Are you sure about less moving parts? IBIS requires moving parts. How many compared to a mirror box? I have to wonder how rugged those little parts (IBIS parts) are in the camera if dropped. Also, more moving parts does not necessarily = less rugged. Example: Sony's weather sealing problems. There are thousands of products on the market right now that have thousands more moving parts than their predecessors, and are far more rugged and reliable than earlier products. Example: Cars, airplanes, etc. C) Perhaps there will be a resurgence (much as there is for 35mm film SLRs these days) and people will start buying used DSLRs on eBay as a novelty. These won't be pros, but could be one reason they hang around. Won't be pros? Now how do you know that? Anecdotally, I personally know one pro who seeks out old manual lenses and uses them in his fashion work. The worse the lens the better, for him. He's currently seeking a Praktica film camera to add to his tool box. He shoots digital and film. Film cameras are not a novelty to him. Yeah, but everybody gets a phone. Everybody needs a phone. Majority of users are buying Smartphones? Not primarily for the cameras they aren't. 4k on a phone? Hmmmm.... and people complain about the crop on FF. I get the impression that one reason that some folks upgrade their phones is to get better cameras. I wouldn't tend to think that way myself. Rather than spending another $700 to $1,000 for a better phone, I'd just buy the next G7X III or the like and have a vastly superior camera. On the rare occasion that I shoot video with the phone, I will always use 4K. I use the extra resolution to compensate for the lack of optical zoom. I can crop the video and produce decent 720p or 1080p. If I had 4K on the G7X III, I'd probably use it some of the time, though with the real zoom lens, that would mostly not be necessary. When I start shooting feature films for Netflix, I'll invest in a newer phone. hehehe My phone is 10 years old. I need a new one. As soon as my carrier offers a free phone I like, that's what I'll get. I'm with you... I'd rather spend that cash on another lens or body. I leave my phone at home as often as possible. Drives my 34 year old daughter crazy. She has the latest phone. She takes photos of the grandson. I can easily say my photos with either the 5D Mark III or the Olympus are better. Much better. (Thanks to Canon and Olympus, not me.) I just cannot wrap my brain around spending hundreds of dollars for a phone (Or getting locked into a contract to pay for it.). Social media access can wait until I get home to the computer. I can look at phone photos of friend's lunches, dogs, cats and bunions anytime. You're wrong on this point, actually. The majority of users are buying smartphones and are not purchasing any dedicated cameras at all. Coincidentally (not that I am suggesting this is their main selling point but just as a point of interest), what do most smartphones have? 4K video. Apologies (in simpler terms, that means 'I'm sorry'). I wasn't cognizant of the fact (in simpler terms, that means 'I didn't know') that I needed to explicitly define (in simpler terms, that means 'spell out') all of the underlying frameworks that are obvious to those with a modicum of intelligence (in simpler terms, that means 'stuff most people with some smarts get'). To be unambiguoisly descriptive (in simpler terms, that means 'clear'), "...the majority of buyers are still buying DSLRs, not MILCs," referred to ILC buyers. Using dimunitive terminology occasionally facilitates comprehension (in simpler terms, that means 'small words might help you understand'). actually, I wasn't talking to you at all. So "we" weren't talking anything. not to mention you clipped out what I was replying to, which certainly didn't state R&D on sensors, which of course, no one knows. but If I had to hazard a guess, since they have more patents, they most likely spend more on sensor R&D than Canon does. It only makes sense. what drives Sony is smartphone sensors, and the tech in those has to be top-notch, including design rules that would never be necessary for larger sensors. If you're posting to a forum, you're talking to everyone here. You may not have stated it was R&D on sensors, but you certainly seemed to be implying it was mostly on their camera/imaging related businesses. Sony does R&D on a lot of other things that has nothing to do with any kind of imaging - ILC-based, phone-based, or otherwise. No, it is a contracting market. You can gain market share while your sales continue to go down. You only gain market share by doing one thing: selling more units (as a percentage of total sales in the market). I did a lot of hikes with a 60D and an 18-200. It was a good all-in-one combo. The 18-200 is fairly dated, just about every superzoom DSLR lens out there now beats it, so I am confident that the 24-240 would be significantly better. I think that the combo of that lens on a RP is going to be a best selling combo for Canon. Most superzoom lenses out there are for APS-C or smaller sensors. It gets more complex and size/weight/cost increase rapidly when one needs to project a larger image circle with such a lens and maintain the same image quality at 22mm (half of the FF image circle size) from the optical center of the lens than 14.5mm (half an APS-C image circle diameter) from the center of the lens. Compare the EF 28-300L, or even the Tamron 28-300mm f/3.5-6.3 Di VC, to the EF-S 18-200 . For what it worth, I don't see that the XXD's and the 7D's can be merged into one body in a way not sacrifice too many options of each of the bodies, the articulate screen of the 80D and the control buttons of the 7D. The light weight of the 80D to the strength and durability of the 7D and so on. Canon will do good if they keep both lines separate until they will, eventually, will be replaced by a mirror-less models (due to the fact that mirror-less, by definition, are simpler bodies - no penta-prism or flipping mirrors). I am still wondering when Canon will announce the new 7Dmk3. It's looking more and more like late 2020, if ever. 7D Mark III will be here around September-October. Testers gonna test. It will be the exact same timespan between the original 7D and the 7D M2 (five years, almost to the day). You know, the Kaizen way of thinking for most big Japanese companies and all that. work well and build upon your design-functionality legacy. lens' sales thanks to the new 7D model. If the 7D Mark III were coming out in late 2019, it would already be in the hands of pre-production testers. Hi everyone. First time poster here! About 18 months ago, I bought a 200D/SL2 and a used 18-135mm f/3.5-5.6 IS STM lens for a 3 month trip to Africa and Europe. I wanted a camera that was light, easy to use, and had good battery life. I looked at mirrorless for the size, but the battery performance wasn't up to par. The 200D fulfilled the brief admirably. I've processed out the safari photos and some others, and if I do say so myself, they're pretty good! If anyone is interested in having a look-see at African animals I can post the link. I am still slowly processing out other trip photos. Now that I've been bitten by the photography bug, I'm quite interested in an upgrade to something a bit more capable, especially if it has a more flexible AF system, so this article about a new mid-level DSLR is of interest. I was looking at a used 80D, but if the 90D is around the corner, maybe I could save up a bit and stretch myself to that. After the trip, I added a couple of other used lenses, including the 55-250mm and the 24mm pancake. I'm now invested in EF-S lenses and won't be looking to change to other systems anytime soon. I specifically bought my current phone (iphone X) to get a better camera that I would always have with me. Taking pictures of a 2 year old is hard enough without having to run to camera shelf to pick up a camera. To make it worse, the camera with good enough AF for small children was a 7D, the camera small enough to keep nearby was an original M, which has an AF suited for sleeping children and buildings. With the second kid having arrived I'm much better at keeping the M50+32mm f/1.4 within reach, but it's still about a 50-50 split between phone and 'proper' camera. The M50 and RP have AF that is 'good enough' most of the time, even in video mode. AF in 4k seems to be worse than regular AF on the original M.
I spent $29.95 to replace the battery in my iPhone 6S back in December. It still had over 80% capacity, but that price was just through last year, and I decided to keep the phone a few more years. It does everything I need it to do, and more. No matter how fast the phone is, I don’t talk any faster. Last year I had decided that I would buy myself the 16-35mm f/4 for my birthday in October. In June a high school classmate died, and on the way home I decided that given the brevity and uncertainty of life, it made no sense to wait until October. So I stopped by Best Buy and bought the lens. That left me with the question of what to buy myself for my birthday. Several friends had new cars, and my car was getting toward eight years old. But I decided I didn’t really want a new car, so I bought an Apple Watch instead, which I also didn’t need. Compared to the car, the watch seemed cheap. Nowadays, the phone mostly manages the watch. going back on topic...any chance the M5m2 will come with a new kit lens, or some equivalent of the 15-85 EF-S? Since you seem to be a big fan of pedantry, in spite of your apparent inability to admit your own errors, the point is that you can sell fewer units in a given y/y or other time period, but as long as your competitors’ sales slip relatively further, you will have gained market share. This has happened for Canon a few times. In other words, a gain in market share results from a relative increase in sales compared to others in the market, independent of absolute sales numbers. We don't know if it's not already, hehe. Technically I was responding in a sub thread conversion directly to someone, which is why I quoted them. It certainly had nothing to do with you. Even less to do with you because you obviously didn't read the entire sub thread to realize what was being talked about. I wasn't implying anything. you're the one that reached for a conclusion that I did not state. I was simply responding as anyone could have clearly have deduced from the conversion that you quoted me out of context about, was about someone mentioning canon versus sony sensor patents and also mentioning the total R&D budgets of canon and sony. Of course, you're the only one to have taken this tact, so many you should read versus assume, not my problem you have trouble with english. It's not even 19mm longer than your Summilux, which is the dimension that most matters for handling. I struggle to see 19mm as the difference between "huge" and "not-huge". 19mm--and quite a bit of girth difference--make no difference in the hand I'm happy to agree, but in the backpack the difference is substantial. I don't have the 35/1.8 so can't say for sure, but my EOS M+18-55 disappeared in my backpack. I literally never knew if I had it or not. My G2+45/2, or Leica M6+35/1.4, or EOS R + 35/1.4 can be detected with a quick heft, but otherwise are quite portable. EOS R + 24-105 or 50/1.2? At that point you know constantly that there's a huge camera in your backpack, and it is at a point that you can't even always get the other stuff you wanted in the backpack, into the backpack. I suspect the 35/1.8ISMac is probably between the second and third group on the list. A plain old double-Gauss 35/2 or 50/2 would be the second group. I'd rather have that than the 35/1.8, because I think the 35/1.8 is too big to always have with me. I've tried using the Sony A7R3 and the A73 recently and I really don't like it. Purely from the fact that it does not allow me to have enough manual control and the ergonomics.. Sheesh, I know ergo ergo ergo.. but it really is a thing for me. I do really like the fact that it is smaller and lighter and I would change systems from DSLR to ML for that reason. I usually hike with gear about 30lbs.. travel with almost 45lbs. The Sonys really just feel and act like a very advanced point and shoot camera IMO. The fantastic algorithms allow the camera to focus on your subject super well as you hold down the shutter. Yes it takes fantastic photos and the eye-AF tracking is simply without any competition. But the other things really hold me back from jumping. Obvious the color science which really really is a thing - super annoying in post!! (from first hand experience) Also, on my particular trip to Iceland, my friend's Sony died from some seawater. Another A73 started acting weird from the inclement weather.. the menu and the screen was flickering and acting up. I kept mine out (5D3) in the elements all day, didn't get it soaked in seawater but - still going strong! weather sealing.. it's also a real thing!! I don't care much for the non-prograde cameras that aren't FF, because I'm hooked to what canon does for me as a whole. It's like people getting the Panasonic gh5 and saying that it's better than the canon C200. There's a reason why the price difference is high and yet people still go for the latter, at least the people that know what quality means. Now, have I been enticed to buy canon's new ML offerings? yes, but I just want something to match the basic quality of the mark 3 and be just as reliable as I know and trust my camera to be. With this whole online forum war thing between canon and Sony, meh, I think majority are cliff note keyboard busters made up of inter web reviews and videos. If they come out with 5D5, I would have been totally wrong with my judgement here. Having said that, I will not buy a DSLR again as the choices of the new mirrorless lenses are fantastic and there is a promise of more coming. And I am sure there will be a professional mirrorless in near future. Sony does not have a very good reputation for surviving bad weather, the Canons seem to have a great reputation. 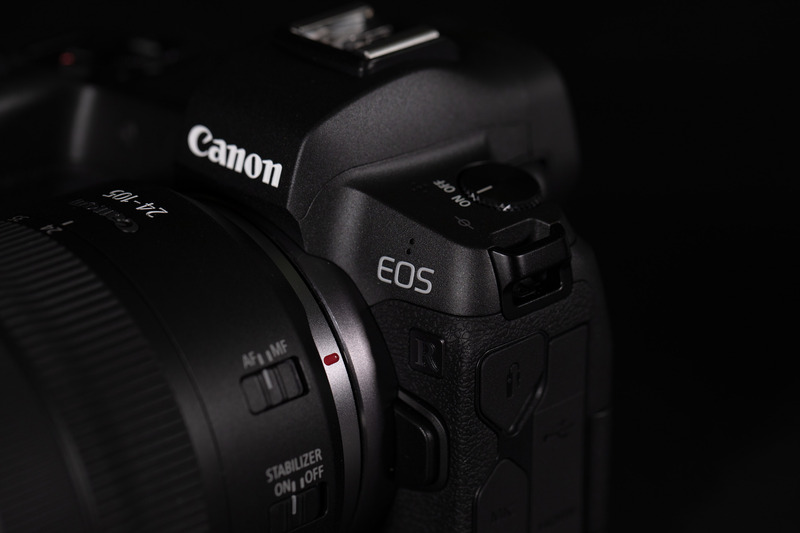 The 1DX2 is the toughest of the lineup, but the 7D2 May be just as good. Both are as well sealed as you are going to see. personally, my 7D2 has seen everything from +40 to -20, has spent days outside on a hiking trip below freezing, heavy rain, freezing fog, and lots of time in a canoe. When you want something that works no matter what, you can’t go wrong with a higher end Canon. As to the R series, way too early to tell, but at some point I am sure that Roger from Lens Rentals will rip one apart and critique it. Sadly, not as good as one might have hoped.